Sopapillas are a traditional Hispanic food cooked in multiple countries throughout the world; from the Americas, to Europe, Asia, and Africa. The best part about the Sopapilla is that its fluffy, crusty texture may be used to make a large variety of flavorful dishes. Depending on your personal preferences, this pillow-like form of bread may be filled and coated with savory flavors or filled with different sweets to become a delicious dessert. Sopapillas, being a food of tradition, may sound like a hard-to-make dish, but I guarantee that if you are wanting to try something new and fun, this is one of those recipes. If you have family, friends or children who want to help you out in the kitchen, the dough making and shaping processes are always the funnest. It may get a tiny bit messy, but the dough turns into a play-dough consistency in the end. Accidents happen when you are working with children, so if a child accidentally eats a piece of dough, there are no eggs or milk involved. Throughout time, this very simple recipe has changed in small ways. Some people like to use shortenings in their recipes, extracts like vanilla for desserts, or use different cooking methods (frying, baking, uses of modern or traditional cookware). I am going to share with all of you, a simple recipe that my grandmother showed me. It is so simple you will have to try it, but be prepared to get your hands a little bit sticky (you will be working with dough). The photos to the right are in sequential order from top to bottom. 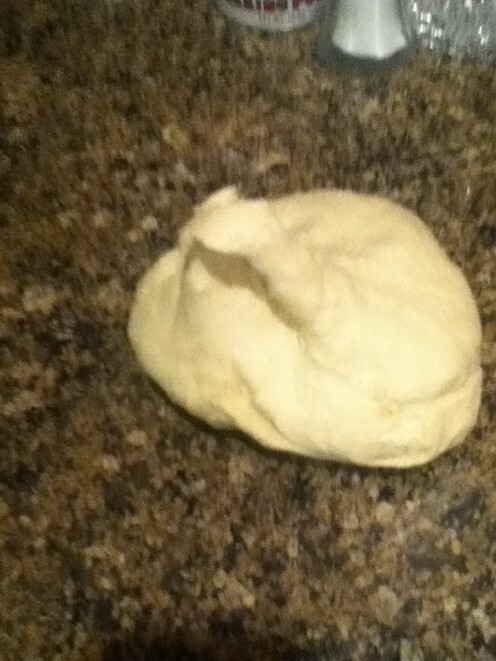 I made this batch of dough at my home, so I used my bare hands to mix the contents of the dough together. I learned this recipe by eye and feeling the dough texture. Since this is online I will be using approximate measurements for some ingredients. For every 3cups of Flour that you add to your bowl, you want about 1tsp of Baking Powder. For extra fluffy dough you may sift these powdered ingredients before adding anything else. Add 1tsp of salt (any kind will do). Start mixing contents together and slowly adding water until the dough starts sticking to your hand or mixing utensil. 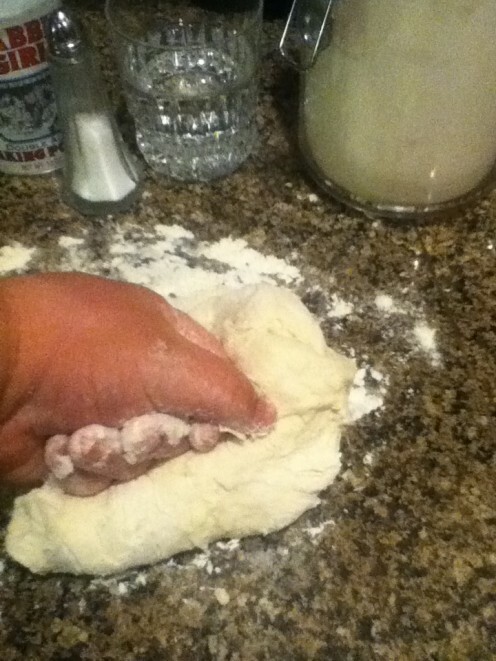 This is the step where you will begin using your hands to knead the dough. 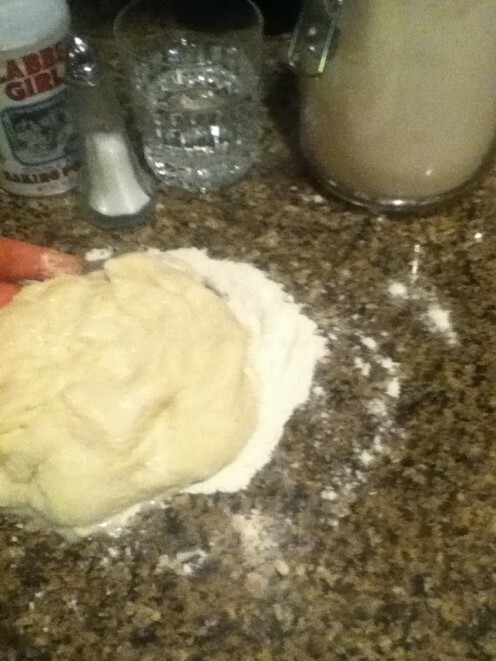 You want to keep adding a touch of water to the dough if all of the powders are not yet stuck to the clump of dough. The dough should not stick to your hands any longer, nor should there be any inconsistencies in colors or textures throughout the clump of dough. You might want to start heating up the oil in your pan on "Step 3" (medium-high heat). If you have an iron skillet or non-stick pan, then you are ahead of the recipe. Not everyone does have one, however, what I have found is that placing a thin layer of foil at the bottom of the pan will help the Sopapilla from sticking to the pan while it is frying. 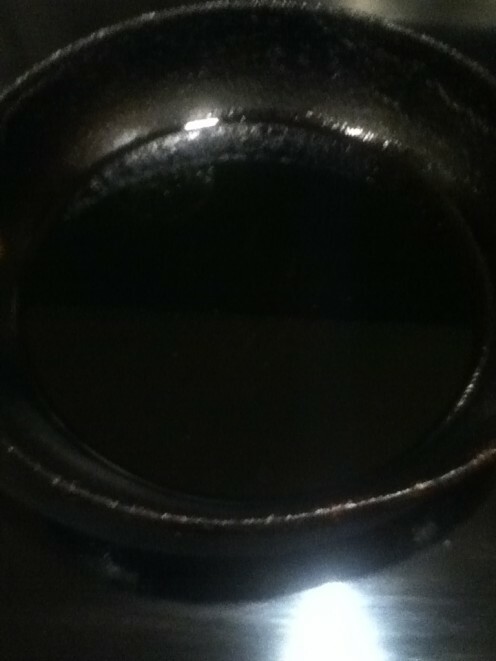 Go ahead and add approximately 1/2 of an inch of oil to your pan. 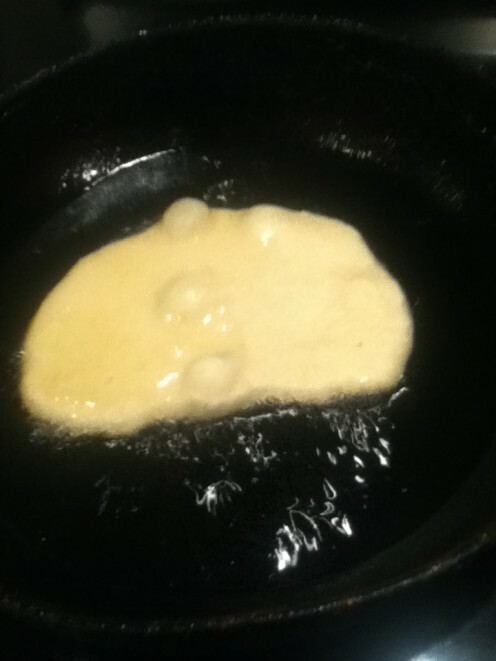 I say to add this much because I found that the Sopapillas will not rise very well (every time) when there is less oil. Yay! You have reached step 4! 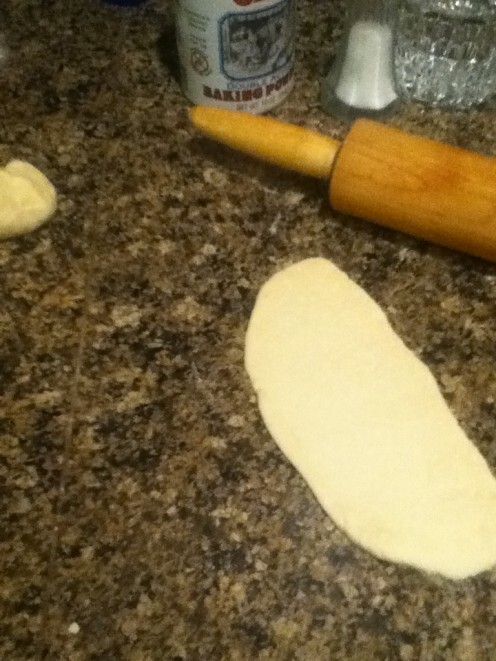 This is the step where you will begin flattening the dough with your rolling pin, to the thickness of a dime (the coin). Once you have done that, you may either proceed to step 5, or use your knife or cookie cutters to create Sopapillas of various shapes or sizes. The Final Step! You have made the dough, shaped it and heated the oil. Now is the moment where you will *gently* plop your 'currently flat' creations (one at a time) into the hot pan of oil. Watch them as they begin to rise. After the entire top side of the Sopapilla has puffed up, flip it over and make sure you move it around in the oil so that every part of the surface has cooked. 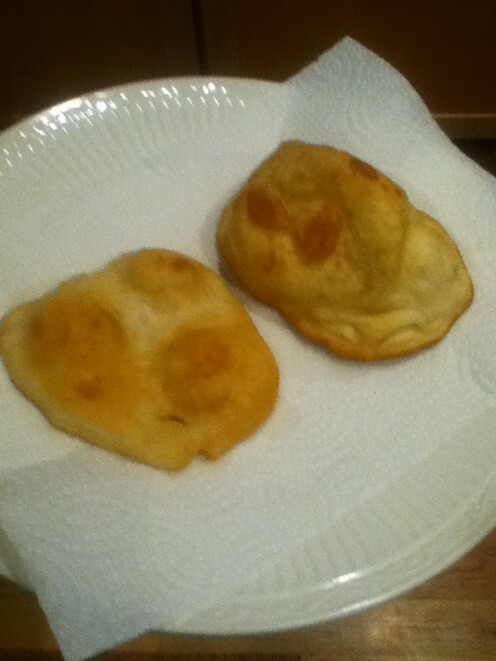 For me, I can never get the first or second Sopapilla to form the way I want them to. It may take a couple tries to get your treats the way you want them. You may now add anything you want inside of your Sopapilla or on top of it. Be as creative as you would like. 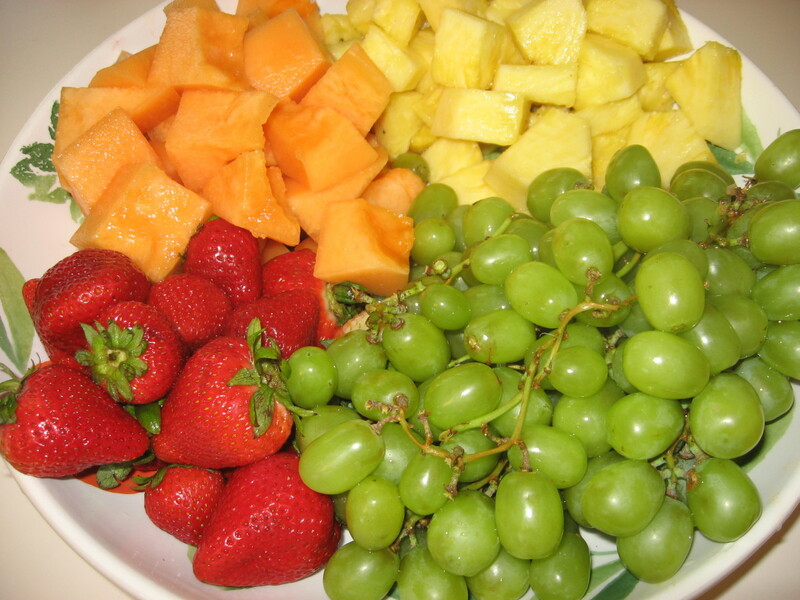 A personal suggestion would be to eat it with home-made red chilli and meat or potatoes and cheese. If there is anything that you would like to tell me... please feel free to leave any of your comments below. Thank you. 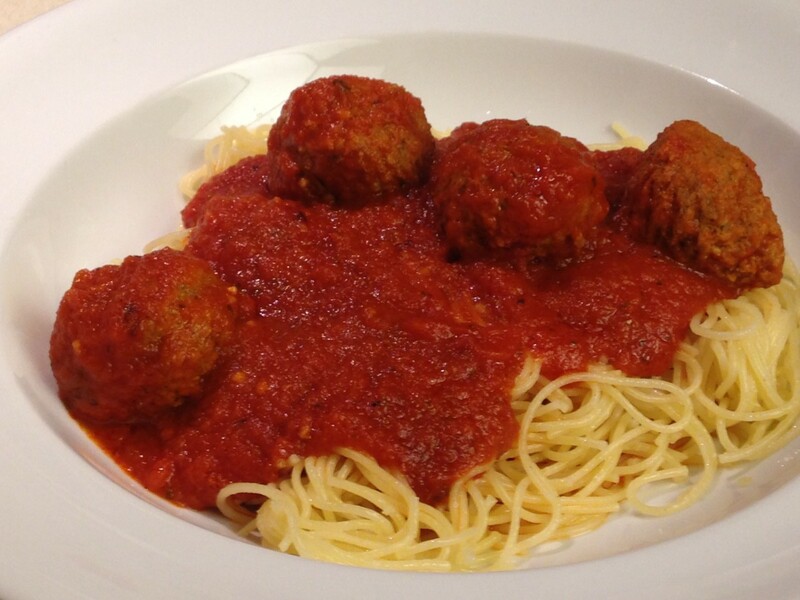 Did you like the way this recipe turned out? Thank you very much! There will be plenty more Hubs like this soon. 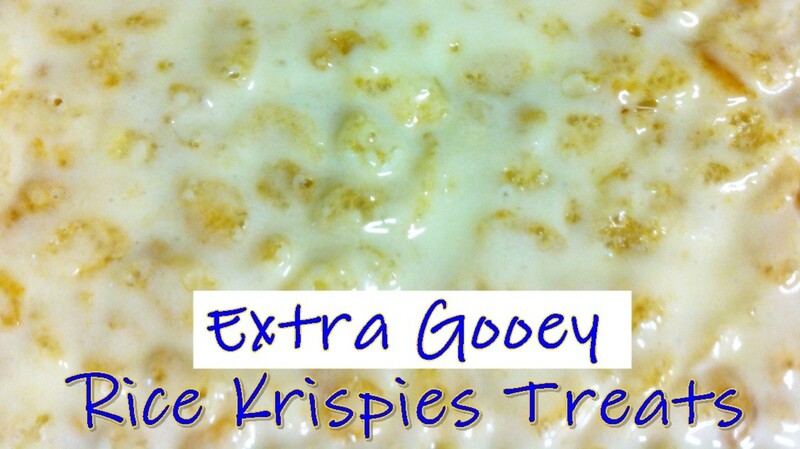 I hope you have an awesome experience with this recipe! Sounds delicious! I do love Spanish cuisine but haven't come across soap pillars before. Will be making some soon thanks to your clear, easy and well illustrated recipe. Bravo! Voted up.